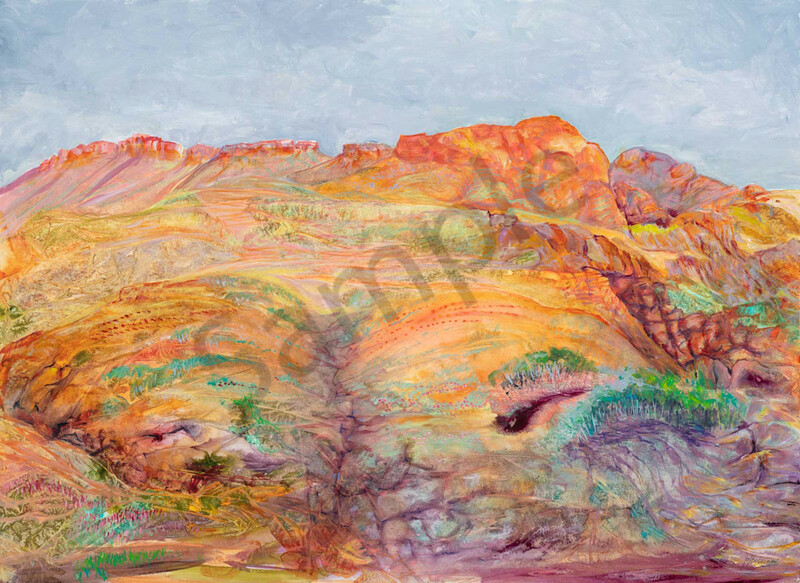 The outback colours of Arkaroola have to be seen to be believed! Wandering around the outback one spring afternoon, I came across a wildflower strewn area of breath taking beauty. The variety of colours was astounding and I have tried to capture the sheer delight and extraordinary range of colours of that experience. One has to go back many times to the outback to really start to understand just what an amazing place it is. My journeys continue to draw me back and back.